The aluminum Lowe L 1448M Big Jon serves up lasting performance and superior value. 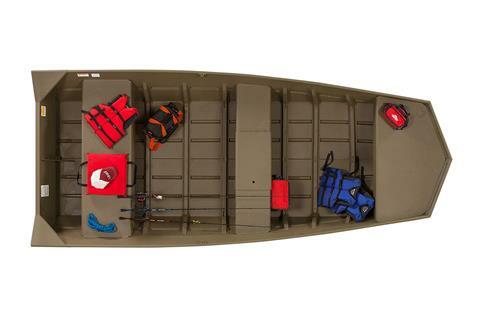 Enjoy features like a center seat with livewell/storage compartment, two strong lifting handles, and a flat-bottom, modified-V hull design for a smooth ride. Lowe Boats has been the choice of serious anglers and hunters for generations.